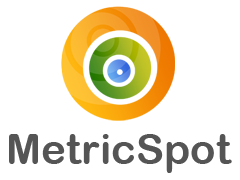 MetricSpot's SEO API is a tool available to Pro users to analyze websites and obtain structured data so you can use it in your own applications. Version 2.0 of the SEO API offers the same services that are used by MetricSpot's application to generate website and PDF reports. Queries are done using the PUT method sending the URL you want to analyze and your API Key in the call body. Responses are served in JSON format. CODE: 200 => "OK, data sent"
CODE: 400 => "Missing API Key"
CODE: 401 => "PUT data is not in JSON format"
CODE: 403 => "Invalid API Key"
CODE: 405 => "Call method not allowed"
MetricSpot's SEO API has a courtesy limit of 100 calls per user. In order to have unlimited access, create a Pro account.